India's first, and only listed stock exchange in India, the BSE, saw its consolidated revenues jump 19 percent for the year ended March 31, 2017 to Rs 800.75 crore, from Rs 670 crore in the previous fiscal year. In FY17. The exchange's full year net profit rose by 66 percent at Rs 265.09 crore. The income growth was mainly due to an increase in income from securities services, which were up by 39 percent to Rs 335.70 crore. The numbers are in line with the fact that India's equity markets are up by 18 percent during the same period. Stock exchange businesses go through cycles. During bull runs, stock exchanges witness higher turnover in shares and this results in higher income. FY2016-17 has seen a good year for Indian equities, that has benefited the exchange. BSE, Asia's oldest stock exchange, was listed on the National Stock Exchange on February 3, 2017 at Rs 1,085; a steep premium of around 35 percent over its issue price. Since then its price has fallen down to Rs 994 as on May 5, 2017. The total number of companies listed on the BSE is at 5,321, making it the top stock exchange in terms of listed companies. It is ranked 11th in terms of market capitalisation. The 30-share BSE Sensex is now the S&P Sensex, giving it an international image boost. 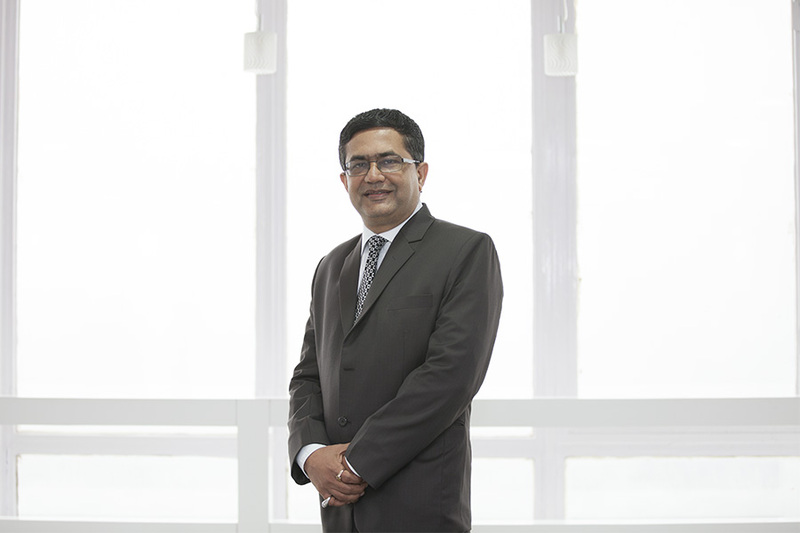 Ashish Chauhan, managing director and chief executive officer of BSE who joined the exchange in 2009, has focussed on launching new products to attract investors. This is reflected in the fact that the average daily turnover of the exchange has gone up by 34 percent in the equity cash segment at Rs 4,025 crore.The Small & Medium Enterprise (SME) exchange has 179 listed companies which raised around Rs 1,421 crore. Stock exchanges are sticky businesses. Traders or market participants rarely move from one exchange to another if they get guaranteed liquidity. The BSE has been grappling with this challenge for some time. But the growth in the equity cash segment is good news. The exchange has promoted India International Exchange (INX) at Gift City, Gandhinagar to provide a state of the art electronic platform to facilitate trading, clearing and settlement of the widest range of benchmark products across assets.